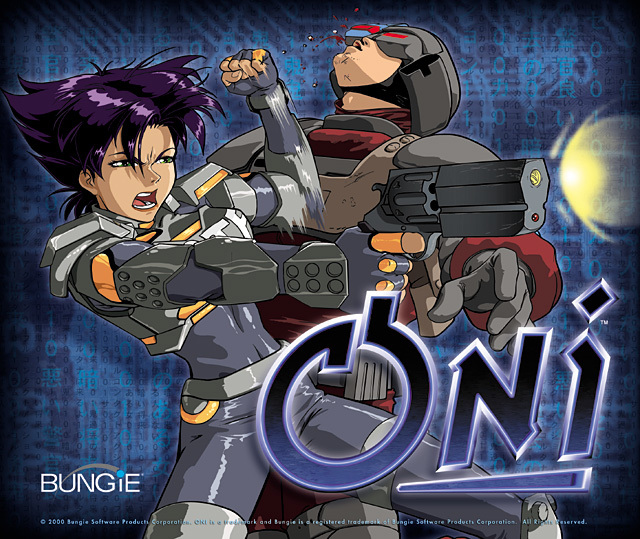 Original Thread: Bubblegum Tank Police in the Shell - Let's Play Oni! What the hell is going on here? Everyone has a Japanese name and there's guns AND punching. I'm scared and confused. Oni is a weird game. They were pretty clearly aiming for a third person action game with strong melee tendencies, and then failed to balance gunplay what-so-ever. The guns are usually overpowered, so it's best to use them, but the melee is just so, so nice. As for the Japanese part? Jesus, I don't know. I don't think anyone Japanese even worked on this game. I guess anime was big back then, I kind of don't remember? So what's the storyline of this game? Hey! This looks different than the Oni I played. This is the Anniversary Edition created by the good people at OniGalore( I think?). It fixes a few bugs, and most importantly, makes it so I can run the game on my computer. What kind of update schedule are you gonna have? I need all the Onis, all the time. I'm physically on a ship in the Gulf of Mexico right now, so I can't promise anything. Well, that's not true; I can promise it will get done post-haste in October/November when I get home, if I haven't finished it already. I remember you, didn't you and some crazy woman kill hundreds of Germans? Priss Asagiri Major Kusanagi Konoko  An orphan raised by the state, Konoko went into the one profession that all orphans are excellent at. Crime fighting! Theres no further explanation, and really, is there one needed? 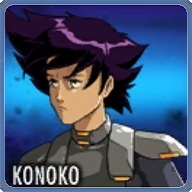 As the protagonist of our story, well be learning quite a lot about Konoko. For the time being, to avoid spoilers, all I can say is that shes a Technology Crimes Task Force special agent that is highly skilled in both ranged and hand to hand combat. Also, perpetual bedhead. 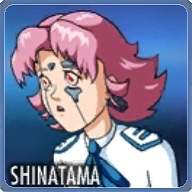 Shinatama  A Simulated Life Doll, or SLD, Shinatama serves as Konokos operator and connection to the main office. She provides us with objectives and outside information, as well as letting Griffin and Kerr know of our various bodily function levels. Creepy. 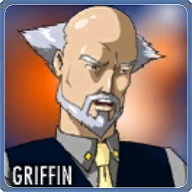 Commander Griffin  Konokos superior officer and the head of the TCTF, he tells us where to go and what to do. Theoretically, since Konokos horrible at actually following orders. For the most part, he grumbles about our adrenal levels and does his best to distract Konoko from causing more major damage. 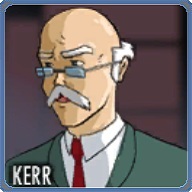 Kerr  A doctor of some sort, Kerr is the closest thing to family that Konoko has. He has supposedly kept an eye on her during her childhood and entry into the TCTF, and now serves as the primary scientist overseeing all the various weird technobabble that everyone partakes in when they think were not looking. 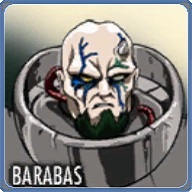 Barabas  A giant bruiser of an enemy, Barabas serves as Muros main lieutenant and bodyguard. He has some pretty serious regenerative abilities, and a lopsided asymmetrical horn that sticks out over his left eye. Hes dumb as a brick, and doesnt have the mental speed to operate a jetpack and a beam weapon at the same time. Mukade  Whos this guy? You havent met him yet. Ill tell you later. 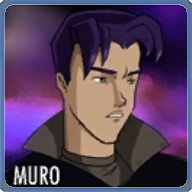 Muro - Head of the Syndicate, a shadowy criminal organization that does shadowy criminal crimes. He seems to be involved in smuggling and illegal weaponry at the least. 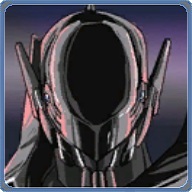 The TCTF has presumably been after him for quite some time, and he is considered to be especially dangerous. Also, he has purple hair, which is not at all story relevant. Seriously. Maybe a little.